American Mishima: Return of the Japanese Aircraft Carrier? Return of the Japanese Aircraft Carrier? 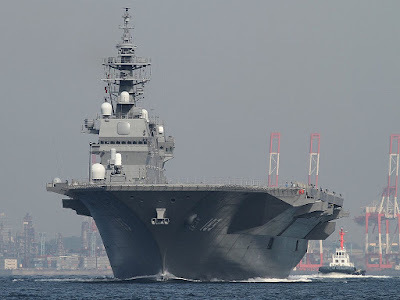 In a move we have long predicted, Japan's Maritime Self-Defense Force has announced their intention to study the possibility of upgrading their two existing Izumo Class Carriers to carry F-35B Stealth Fighters. This move which could be seen as a move away from the Post War agreement in Japan's constitution that forbids the possession of Aircraft Carriers was inevitable. This has been facilitated through the efforts of the Ruling LDP party which calls for the creation of multi-purpose motherships that could help in disaster situations as well as bolster Japan's defense. With growing threats from the PLA/N and North Korea, the government of Shinzo Abe has taken the initiative to call for a review to Post War restrictions imposed by the Allies at the end of WWII. The changing needs for Japan's defense must be met to bring balance to the ever-changing situation in the South China Seas, the Sea of Japan, and the growing threats of natural disasters created by Climate Change. The addition of fighter jets will likely draw the ire of Beijing, but in the face of their recent assertiveness, they had to have seen this coming. While there are currently no known calls for the construction of a new carrier with an angled deck, upgrading these existing 19,500-ton carriers makes the best sense. 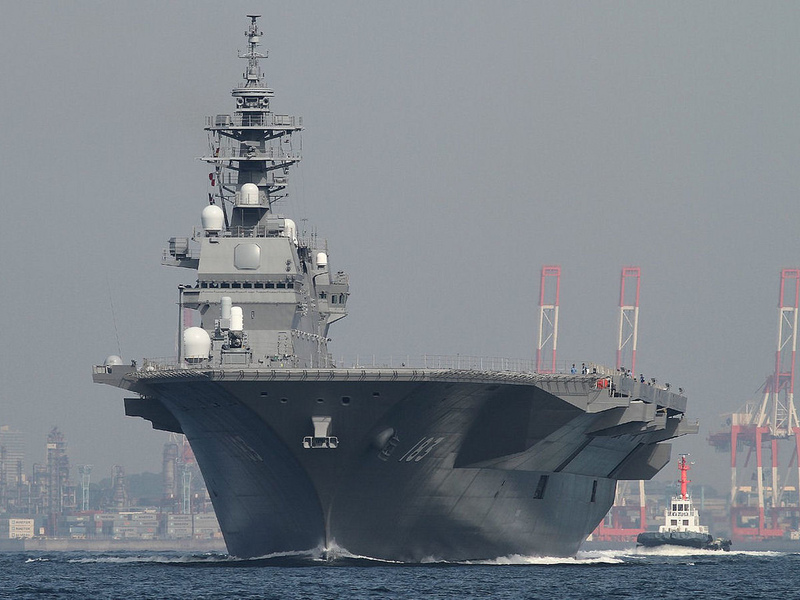 To counter the growing threats and the balance of maritime power in the region, we will continue to observe the JMSDF's evolution from a pure self-defense force to that of a modern multi-purpose Navy with great interest.